Please shop Amazon through our site and support our efforts. Research has shown that women who have 2 to 5 alcoholic drinks daily have a higher risk of breast cancer than women who drink only 1 drink a day or not at all. Come out and run to support the Pink SOCS Foundation 5K run/ walk Saturday June 8, 2019 at Spring Lake Park, South Plainfield, NJ Click on the link to register online. Frequently Asked Questions What is breast cancer? Are there different kinds of breast cancer? What are the symptoms? What are the risk factors? What can I do to reduce my risk? What is breast cancer screening? What is a mammogram and when should I get one? How is breast cancer diagnosed? How is breast cancer treated? What is breast cancer? 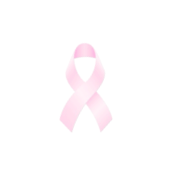 Breast cancer is a malignant tumor that starts in the cells of the breast. A malignant tumor is a group of cancer cells that can grow into (invade) surrounding tissues or spread (metastasize) to distant areas of the body. The disease occurs almost entirely in women, but men can get it, too.